If you have recently gone through a divorce, you might have unresolved feelings of anger toward your ex spouse; find yourself reeling from past betrayals both big and small; become stressed when you think about the legal and emotional ramifications of the divorce; or you may even experience symptoms of depression. You are not alone, and there are ways you can start to heal. 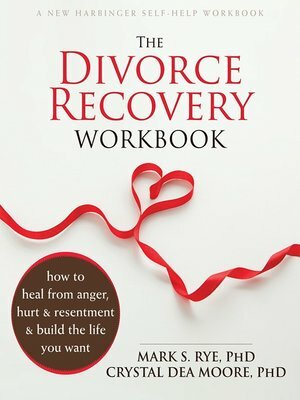 The Divorce Recovery Workbook offers a unique approach using mindfulness and positive psychology to help you cope with these negative emotions so that you can start to rebuild your life. You'll learn powerful practices based in self-compassion to help you heal, forgive, and form new, loving relationships. The book also includes helpful exercises and tips for managing a difficult co-parenting relationship. If you've gone through divorce and are struggling to move on, there comes a moment when you must make a choice. You can let the difficult situation define who you are, or you can use it as a jumping off point for making radical changes in your life—positive changes that will leave you stronger and happier than ever before! This workbook will help you start.